Logic Supply will be attending the Vermont Tech Jam on October 28th and 29th. The Vermont Tech Jam was originally started as a way to bring attention to the numerous technology companies in Vermont, with the hopes that the talented, newly graduated students would consider pursuing a career in the state. Logic Supply has been attending the Tech Jam since its start in 2008. This is a fun event for Logic Supply because we have the opportunity to showcase our geekery. In 2009, we created an application with our 12.1” Industrial LCD Touchscreen, GW-01 system and a fish tank. 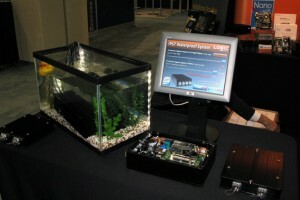 The touch screen was connected to the GW-01 system, which was submerged under water, and controlled the bubbles and lights in the fish tank. The rubber ducky was thrown in for good measure. Last year, we stepped it up a notch. 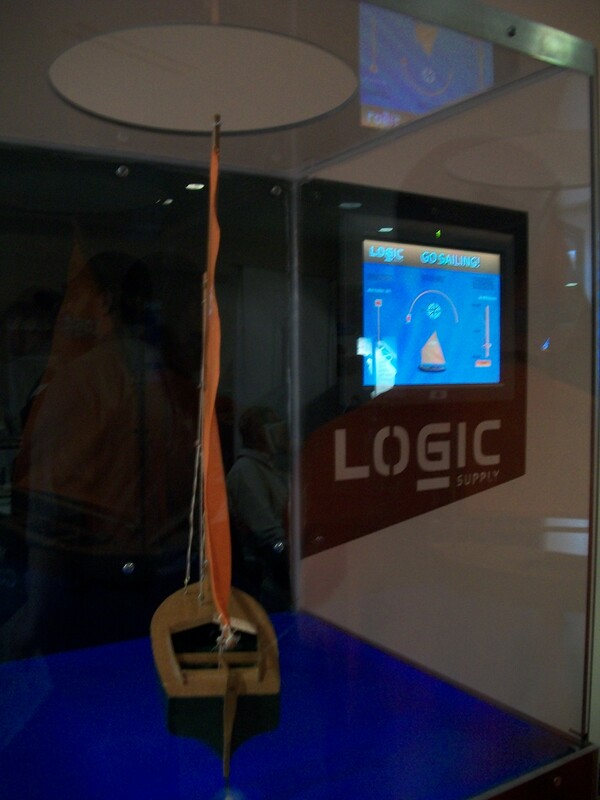 Logic Supply worked with local students at the University of Vermont to develop a software application to power a model sailboat with our hardware. Our engineers who specialize in designing custom enclosures such as the Automotive MV101 and Nano-ITX NC108-1HD created a chassis for our application. This year Logic Supply’s President, Lisa Groeneveld, will be speaking in the panel discussion for Women in Science and Technology on October 28th. Director of Human Resources, Mark Heyman, will be in a panel discussion for “How to stand out in the hiring process” on October 29th. Stop by our booth to see our latest application and walk away with a free gadget giveaway. The Tech Jam will be held at the former Borders building on Church Street in Burlington, Vermont. This is not exclusively a recruitment event; it is an opportunity to talk to other people passionate about technology. Look for the orange Logic Supply t-shirts (they stand out in a crowd), to speak geek or discuss career opportunities.